If you are thinking of refinancing to get a better deal which allows you to pay off your loan quicker you need to do your homework. As it turns out they could not beat the rate, but it got me thinking. What if they could beat the interest rate by as little as 0.06% - would it be worth the switch? On a $300,000 loan over 30 years that is a potential saving of around $4300. Looking good so far. I also took my original loan out before Exit fees were banned and would have to pay $1000 for early redemption of my current loan, but the new lender will cover the cost of the early redemption. Fantastic! $600 extra cost of annual account keeping feeOverall saving of $2,300 in interest over the 30 year term - $75 per year saved. Looking at the number like this would suggest that I should switch, however – if you are trying to pay your loan of quickly you may not actually save anything! This is where you need to get a bit smarter about your calculations. As the charges are added up front, you would only actually start saving if you were to stay with this new lender for at least 14 years. Any less than that and the charges would out-weigh the savings on interest. The best thing to do if you are offered a slightly better deal like the one detailed above is go back to your current lender and see if they can match or beat it. Chances are that they will at least match it or come very close to it in order to keep your business. Any reduction from your current lender will put you ahead so it’s worth asking the question. This example is based an initial loan of $300,000 over 30 years at a rate of 7.5%. The savings are estimates and are not exact and are designed to be nothing more than thought provoking. The scenarios are generic and do not take individual circumstances into account. You should seek independent financial advice before making any significant changes to your financial products. .
As a rule most lenders will push reasons 1 and 2 promoting the quick and ‘easy’ short term gain of extra cash. However, short-term gain equals long term pain as both these options do not actually help you pay off your loan any quicker – in fact quite the opposite. The idea of freeing up equity and/or reducing your repayments is all about keeping you in debt for longer. Remember that lenders, brokers and planners all benefit from your debt and it is in their interest to keep you in debt and tied to them for as long as possible. If you are thinking of refinancing ask yourself “why?”. If you want to free up some equity or reduce your monthly payments to improve your cash flow – think twice before you sign on the dotted line. I’m not saying “don’t do it” – just be aware that by doing so you are potentially entering into another 25 to 30 years of debt. You can afford the repayments now, but what happens when you retire and you still have another 5-10 years left on your home loan? Will your Superannuation support you and your home loan? Not likely – what happens when you are 70, retired and cannot afford the repayments on your home loan? Make sure that you are going into it any refinance deal with your eyes wide open and don’t let anyone convince you that freeing up equity is giving you free cash – nothing is free, but the time really hits it may be too late. Don’t borrow more to pay charges! Try to cover any fees and charges from your pocket rather than letting the balance of your loan increase as charges are added. As charges are added and your loan amount increase you are essentially borrowing the money to pay the fees which means that you will be charged interest on those fees. The lenders essentially double dip, by 1) charging you fees and 2) charging you interest on those fees. To combat paying this additional interest try to fund the fees yourself, by making additional payments which match the fees/charges. If you have an annual account keeping fee of $300 added to/taken away from your balance on the anniversary of your loan, try to pay an extra $300 off your loan during the same month. If you have a monthly fee on your home loan account set up a recurring payment cover the fees – if the lender adds a fee of $10 on the 1st of each month, set up a recurring overpayment of $10 per month to coincide with the charge. You could try making your payment $15 per month. That way you will cover the fees and be paying off an additional $5 per month off your loan. You’re not likely to miss the additional $5 per month! But most importantly – cover any fees/charges by making extra corresponding repayments as the fees/charges are applied to your home loan. Do this as well as making any other overpayment. Do not be tempted to think - "It's OK, I'm paying an extra $50 per month anyway so that covers the fees" - make an effort to pay the fees as well. Most of us have a savings account where we put money away. $20, $50, $100, $200 per month – the amount vary, but most of us try to save for the annual holiday or for Christmas or just for a rainy day. Well – if you put money away for a rainy day - it’s time to realise that it’s pouring with rain right now! If you are saving for a specific thing such as a holiday, a new car, a new outfit – great! Keep doing so, but if you are just saving for the sake of it (because your mum told you it was good to save) try switching the regular saving into a regular additional home loan repayment. Think about it. What are you really saving for? Your future? Financial Independence? And what better way to invest in your future that to be debt free quicker? That extra $100 per month that normally goes into the saving account could save you over $70,000 in interest payments and could mean you are debt free 4 years sooner. Now wouldn’t that be nice? It’s not the best option for all. Some of us like to know that there is a lump sum in the bank to fall back on in case of emergencies, but it’s certainly worth thinking about!! An offset account is like a reverse savings account. Instead of earning interest on the balance, you save the corresponding interest on your home loan. So if you have $5,000 in your offset account, you are not going to pay interest on $5,000 which is sitting in your home loan. There are different type of offset account - some offer you 100% offset, but there are others that give you a lower percentage offset - so make sure you read the fine print. Using your offset account correctly can save you hundreds, even thousands of dollars over the term of your home loan, but make sure that you do your sums first. Don't just get an offset account because you think it's the right thing to do. Most offset account carry a fee and you need to be sure that the saving outweighs the cost of having an offset account. If your 100% offset account cost is $10 per month, so you need to save more than $120 in interest each year for it to be worth your while. To save $120 per year in interest you would need to maintain a balance of no less than $1,600 - not actually that hard if you use it as your only bank account. If your 100% offset account costs you $300 per year you'd need to maintain a balance of over $4000 for it to be worth doing. If you have a 50% offset account that costs you $200 per year you will to maintain a balance of over $5,550 for it to be worth doing. So do your calculations and read the fine print before you sign up for an offset account and make sure that the offset will, in fact, save you money and not cost you money. If you do the calculations and work out that an offset account would work for you use your offset account to the max - make it work for you. Use it as your only bank account and keep as much money in the account for as long as possible. The best way to get the most from your offset account is to stop using all other transaction and savings accounts. If you are saving for a something specific, it may be worth keeping a separate account so that your savings are not 'lost', but if you can manage your money in a single account - do so now and you could save. Make sure all your income goes into your offset account. If you are a couple with separate transaction account, think about combining your efforts and use the offset account as a join transaction account with ALL income going into the offset account. Have all salary, dividends, bonuses - everything paid directly into your offset account. Keep the balance as high as possible for as long as possible. Pay bills on time – not early! 1 day before the due date is generally OK for BPay and EFT transfers, but it depends on your bank so make sure that you do not pay too late, but definitely do not pay your bills a week or 2 early. This example is based an initial loan of $300,000 over 30 years at a rate of 7.5%. The savings are not exact and are designed to be nothing more than thought provoking. The scenarios are generic and do not take individual circumstances into account. You should seek independent financial advice before making any significant changes to your financial products. Don't blow your windfall - not all of it anyway! If you come into some money – a decent lump sum – maybe a lotto win or a tax refund or a win on the Melbourne Cup…. Don’t just spend it all at once. Use some of it to pay off a lump sum off your home loan - it can make a big difference! What about that Medicare cheque or Health Fund refund? If you paid for the treatment months ago and you haven’t missed the money put it straight into your home loan. A lump sum of $1000 during the second year of your home loan you will actually save you around $8000 in interest over the term of the loan and could reduce the term by 3-4 months. So no matter how small or how large the payment, it’s worth throwing all you can afford at your home loan. The emphasis is on “all you can afford”. Do not be temped to throw too much at your home loan. Do not leave yourself short – that has its own challenges and pitfalls, so do not over commit with lump sums. If interest rates fall, maintain your repayments at the same level. You are already used to not having the extra dollars so stick to the same repayment amount. By continuing to pay $2,098 per month you would be overpaying by $51 per which could save you $40,000 in interest over the term of the loan and reduce your term by over 2 years! In theory, if everyone did this instead of spending the $51, it would keep the pressure on retailers and would, in turn, maintain pressure on RBA to cut interest rates again...... in theory!!! It would be a theory worth testing (if we could get the whole country on board) - would need someone like Mark Bouris or David Koch to push this experiment. How about it Mr Bouris, Kochie - either of you willing to give this a go to help "Middle Australia" get out of debt quicker? At the end of each month round your home loan account down. Once the interest charges have been added, pay an additional payment to round down your balance to the nearest $10 or if you are feeling a bit flush to the nearest $50. It won’t save you a lot – probably less then $0.10 per month, but it all adds up over the term of the loan. Either way you save and it costs you next to nothing! If you have any shares, rather than spending the dividends when they come in, why not set up a direct deposit for all your dividend payments to go directly into your home loan account. By having them deposited straight into your home loan account you will not be tempted to spend the money. A $50 dividend payment could save you over $100 in interest over the term of your loan. Do that every year with all your dividend payments and who know how much you could save and because the money is never going into your regular transaction account you should never miss it! A bit of effort could give you FREE money! If you have a fully flexible home loan account which allows overpayments and redraw with no fees use it to your advantage. Monthly credit card bill for $1000 arrives on 15th of the month and it is not due for payment until the 2nd of the following month. By putting the $1000 into your loan account and paying the bill 2 weeks later from the loan account you just saved almost $3 in interest. Do this every month and you will save $36 in interest. Quarterly Electricity bill for $400 – put the $400 into your home loan for 2 weeks and over the year you could save $4 in interest. Do this with ALL your bills and who know how much you could save. $100 per year – maybe more? All depends on how big those bills are. It does not sound like much, but essentially it’s free money. Would you say ‘no’ if someone offered to $100 – no strings attached? Try it for a year and see for yourself. Most home loans allow you to make additional payment. Set up a recurring payment that you will never miss - don’t aim too high. The key to the success of this is to make sure it is an amount that you will never miss. If you are likely to miss it – you are likely to stop the repayment in the future. Start low and if you can increase the amount over time all the better, but even $10 per week will make a huge difference over time! So how much could an extra $10 per week save you?? Well, you may be surprised to hear that an additional $10 per week could save you around $35,000 in interest over the term of the loan and reduce your term by nearly 2 years. $10 does not buy you much these days, but would you have thought that $10 per week could make such an impact on your home loan and long-term financial independence? If there are 2 of you and you both put in an extra $10 per week your savings could double!! Change your repayment from monthly to fortngihtly. Rather than 12 monthly payments you will actually make 26 fortnightly payments in a year. You will save on interest and you will end up paying off more capital in any given year. For a $300,000 loan over 30 years this could save you almost $120,000 in interest payments over the term of the loan and you could reduce the term of your loan by around 7 years! With all the talk of Interest Rates changes I though it might be worth looking at home loans and how to get rid of your home loan ASAP. Not a subject directly connected to BeFound and employment, but a subject that is very important to us all. Firstly, unless you are very strict with your money and have a good handle on exactly what you are spending try to avoid an ‘All in one’ portfolio type loan which work like a normal bank account in permanent overdraft. These loans are extremely flexible, but the lenders are banking on you getting lost with your budget and essentially treating it as an interest only arrangement – always reverting back to your max overdraft limit. As with anything you can use the flexibility to your advantage, but be very careful. If you are not great at budgeting do not use the loan account as your everyday bank account – maintain a separate every day transaction account. The thing to realize is that despite what they say the banks actually want you to be in debt for as long as possible – that is how they make their money so when you are offered fancy new home loan product, make sure you know exactly what you are signing up to. The biggest mistake is using home loans to free up cash. Using home loans as a cash flow tool is extremely risky and your only aim with your home loan should be to pay it off ASAP. Reduce the term as much as you can and overpay as much as you can afford as often as you can afford. There are people out there who still promote interest only loans – but my view – steer well clear of them unless it’s for an investment property and you know exactly what you are doing. Over the next 6 days we will give you 6 easy ways to pay off your home loan quicker. Do all of these and you could save well over $150,000 in interest and shave at least 10 years off the term of your loan. All the examples we show over the coming days are based an initial loan of $300,000 over 30 years at a rate of 7.5%. The savings are not exact and are designed to be nothing more than thought provoking. The scenarios are generic and do not take individual circumstances into account. You should seek independent financial advice before making any significant changes to your financial products. Tough interview - tough job! FAQ – When trying to create my profile I just see "please wait, updating information" and nothing happens. A – The simple answer is 'no', but there may be a problem with your Internet Browser. When Microsoft released Internet Explorer 8 (IE8) and now Internet Explorer 9 (IE9) they made some changes – the reasons for which are best know only to themselves. These changes mean some websites just do not work with IE8 and IE9. Microsoft obviously know that the changes they implemented have issues as they have provided users with an option to use what they call “Compatibility view”. We run a lot of complex controls within our profile builder that IE8 and IE9 just do not ‘understand’, which is why if you are using IE8 or IE9, you should switch on the "Compatibility View". This can be done from the Tools Menu item – about half way down the menu you will see ‘Compatibility View Setting’. You can switch the Compatibility View on from there. Close your browser and try again and all will be working perfectly! Once upon a time, in a land not so far away, lived Buzz Eeyaz. Buzz worked hard. He had built successful business. Such was his renown, he was becoming very busy, working harder and longer than ever before. All this work meant he saw less of his family. Buzz decided to seek help.He went to visit the fabled Recruitment Hill where he met Rhys Hoarser, and the mystical Headly Hunter. Rhys , dressed in a Teflon coated suit, stood in front of a locked wooden door holding a large rusty key. “How much silver?” enquired Buzz. “If you employ someone you must cross my palm with yet more silver.” Rex asserted. Buzz wished he had the time to seek assistance himself, but alas he had not. The last time he had tried, his business was overwhelmed by the level of enquiry. He simply could not bear the intrusion on his time. He went on to meet Headley. Headley stood amidst a vale of smoke surrounded by mirrors. A booming voice filled the air. “Behind my door I hold hundreds of people matching your requirements. I will release the best 2 to you. If you like them you must cross my palm with gold.” Buzz could not help picturing a scene out of The Wizard of Oz and chuckled to himself. Buzz had heard enough. Before Headly had finished Buzz was off down the hill feeling very annoyed. “And how much does this looking glass cost?” asked Buzz suspiciously. “If you find someone you like and give them a job I’ll ask you to cross my palm with one piece of silver” came the calm response. FAQ – I already have a Resume. Why do I need to create a new one on BeFound? Q – I already have a Resume. Why do I need to create a new CV on BeFound? A – Creating a BeFound Resume is easier and quicker than you think. To speed things up you can even copy and paste information from your current Resume into the relevant fields. (If you do copy and paste make sure that you are dropping the information into the relevant/correct section). There are a number of advantages to having a BeFound profile over text-type document Resume on a UBS key or a hard drive. You always know where your most up to date resume is – i.e. on-line on BeFound.com.au. All you need is an internet connection you can log in, update, print or e-mail your up to date resume. You do not need to worry about formatting. All you need to do is enter the information into the Profile Builder fields and and the BeFound Profile Builder formats your profile – ensuring that all the font types and sizes are consistent. Your BeFound profile is produced with best practice in mind making it easy for prospective employers to read and understand. We ensure that your profile flows and shows all the relevant information in a format that most employers want to see. You CAN do it your self! Don’t pay a Resume writer hundreds of dollars for re-formatting your resume. Use BeFound for free! By having a published BeFound profile you are also putting yourself our there – letting employers know that you may be interested in new opportunities – in a safe secure and anonymous way. Overall, your BeFound profile should become your one and only Resume/CV. Come back to BeFound to keep your profile up to date and forget all those word versions of your CV on different UBS keys, discs and drives. Use BeFound and you will always know where to find your Resume. 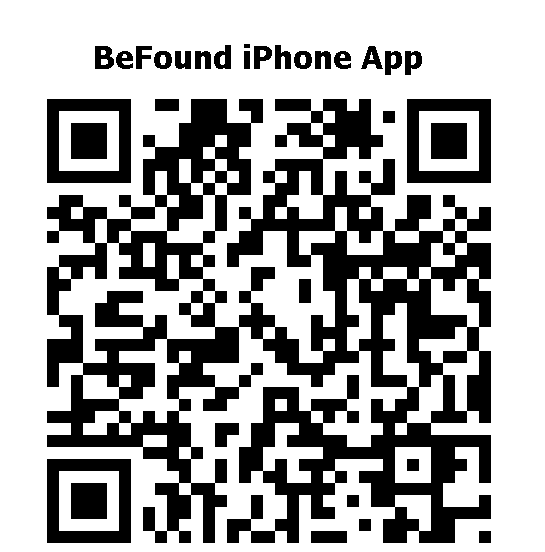 You can even e-mail your BeFound profile to prospective employers any time any place using your iPhone and our iPhone App. Employer FAQ – Do I have to come back and search every day? Employer Q – Do I have to come back and search every day? A – No. You can set up ‘Candidate mail’ alerts that will inform you when jobseekers with your pre-specified criteria create or update a profile. You can use any combination of keywords, categories, industries, role and locations when setting up your candidate mail alerts. You can be as specific or as vague as you like. You also have the option to select the frequency of the alerts from daily or weekly. Either way you will only receive an alert if jobseekers matching your criteria interact with BeFound. Candidate Mail is a great way to keep up to date as people are registering and updating their profiles. FAQ – How much does it cost to use BeFound.com.au ? Q – How much does it cost to use BeFound.com.au? A – BeFound.com.au if completely free to jobseekers. It is 100% completely free for jobseekers to register, create and publish an on-line profile. Employers only pay a fee once the placement is agreed. For permanent placements and direct casual employment agreements the fee is a one off single payment of $500 + GST. Yes, that right! No upfront fees. No subscriptions. No download fees. Employers only pay for a win! For contractor/labour hire agreements fees are worked out based on the rate expectations of the jobseeker. Fully inclusive contractor rates are published on the jobseekers’ profiles so there are no surprises for employers. FAQ – What should put in my Profile Title? Q - What should my BeFound profile title be? A - The profile title is a searchable field when employers are working through the database so the better the Profile Title matches the job you want the better your chances of begin found. Employer FAQ – We have our own candidate database. What value does BeFound add? Employer Q – We have our own candidate database. What value does BeFound add? A – Having an internal candidate database is a great idea and it is a great recruitment tool. BeFound takes concept of jobseeker databases to the next level. The problem with internal databases is that they quickly become out of date. Once a jobseeker has uploaded their resume there is no prompt or incentive to go back and update their account. More often then not it’s a case up “upload, leave and hope for the best”. At BeFound we stay in regular contact with jobseekers giving them both prompts and incentives to keep their profiles up to date. BeFound is an interactive and evolving on-line profile tool for jobseekers – they have to engage and think about their profiles so they are more likely to keep them current and up to date. The other thing that BeFound offers is access to candidates nationally and across all industries. For example, if a large bank was looking for a Grounds Keeper or Landscape Gardener for their head office site, it is unlikely that they would find such a person on their internal database. BeFound on the other hand contains profiles for all roles from CFO to Car Washer and everything in between! By restricting your search to an internal database only, is restricting your reach. You are relying on jobseekers know a) about your company and b) that you have a database where they can register. BeFound is marketed in many ways to invite jobseekers to register, including TV, Radio, Print and Web-based advertising. We attract a diverse range of people with a diverse range of skills. BeFound should not be viewed as an alternative to your internal database; it should be viewed as a complimentary tool. Search your internal dataset first. If you find someone – job done! If not – have a look on BeFound. It’s free to search so there is not risk and no cost. If you find someone on BeFound – great! If not them go through your normal marketing and sourcing processes. The thing to realize about BeFound is that it only costs you the time to perform a few easy searches. If you find someone you have potentially saved a huge amount of time and money. If you do not find the right person all you have lost is 5 minutes of your time – you spend longer than that waiting in a queue for your coffee each morning! Try it now! Click here and see how easy it is. You do not even have to register to search and browse. FAQ – I am not currently looking for a new job. What should I do with my BeFound profile? Q - I am not currently looking for a new job. What should I do with my BeFound profile? A – The first thing to note is that you do not need to delete your account and waste all the hard work you put into creating your BeFound profile. There are a few things you can do to indicate to employers that you are not currently interested in new opportunities. The other option is for you to remove your profile from the search results. This is very easy to do. Simply remove a piece of mandatory information and your profile will show as ‘incomplete’ and will not be available for employers to search. The quickest things to delete (and re-enter in the future) are your Work Preferences – Delete the values from one of the sections on this page and your profile will no longer be publicly available. FAQ – I’m worried that my employer will see me on BeFound. Q - I’m worried that my employer will see me on BeFound. Not really a question, but a concern that some jobseekers express when considering creating a BeFound profile. A - Well, we thought of that and the chances of your employer actually finding and indentifying you are pretty slim. Firstly, we automatically withhold your name, all contact information and your current employer from public view. As long as you do not repeat your name in the body of your profile and you do not refer to your employer by name in the details of your employment these will not be displayed. Secondly, when an employer finds a profile they like the look of they cannot contact you directly. All contact is managed through us here at BeFound. So if by chance your employer was to find you and request more information, we would have a chat with you and go back to the employer telling them that you are not currently interested and they never find out who you are. Although we cannot guarantee that your employer will not locate your profile and work out who you are based on your previous work history – the chances are pretty slim. FAQ – what sort of people are being found? Q – what sort of people have been found? As you can see it’s a very diverse list of people who have been found on BeFound.com.au! FAQ – do employers use BeFound? Q - do employers use BeFound? FAQ – what are my chances of being found? FAQ – what are my chances of being found on BeFound.com.au? Essentially, the better your profile – the better your chances of being found. Treat your BeFound profile as your resume and include all relevant work experience, education, skills and foreign languages. The more information you have in your profile the better. Make sure your profile title and summary a catchy and descriptive. This is the first thing that a prospective employer will see so make an impact. Keep your profile up to date – the last time you updated your profile is displayed when employers search. They are less likely to request profiles that have not been updated for 6 months. If you have not updated your profile for over 12 months it will not actually appear in the search result – another good reason to keep it up to date! Make your profile as good as it can possibly be and your chances of being found will increase dramatically, so why not log on and update your BeFound profile today! FAQ - can I upload my own CV? Q - Why can’t I just upload my current CV? A - If you are looking for a dump and run site where you simply upload your Resume & forget about it and hope for the best BeFound is not for you. If you are serious about finding a job and are willing to devote a bit of time to creating and maintaining a professional on-line profile – BeFound.com.au is the place for you! There are a few of reasons why we do not allow job seekers to simply upload a Word or PDF Resume…..
Having to interact and create a BeFound profile shows prospective employers that you have given the process some thought and pout some effort into actually creating a BeFound profile. The importance of this to prospective employers cannot be underestimated. The employers who use BeFound are looking for quality employees not just a Resume database for a mailing list. Asking job seekers to complete a standard BeFound profile means that we can control your privacy. The software withholds certain information about you and your current employer to make sure that your personal information and your integrity is maintained. Allowing job seekers to upload Resumes in various layouts and file formats would make it impossible for us to protect your personal and contact information. Controlling the input fields also means that we are able to control which fields are ‘searchable’ and which are not – helping employers to find relevant profiles quickly and easily. The BeFound Resume builder is designed in a ‘best practice’ format which is easy to read and understand. This means that prospective employers can quickly identify relevant profiles and do not have to spend too much time and effort sorting through (sometimes) irrelevant information which sometimes appears on a Resume. Ultimately, you should be able to ditch all the other version of your Resume altogether and simply use your BeFound profile as your only Resume. Change it as you change jobs and as you move through your career. Your BeFound profile should grow with you. Did you know that you can use your BeFound profile to apply for any job? You can e-mail a PDF version of your profile to anyone you like and you can even use your iPhone to send your profile to prospective employers using our iPhone App. FAQ - number of profiles? Q - Why does the number of profiles go down as well as up? A - The job seeker profiles on BeFound are controlled by the users (job seekers). Job seekers can 'un-publish' their profile by removing certain information. The number of profile shown on BeFound reflects the number of published profiles and this number is updated in real-time as job seekers publish or un-publish their profiles - and the number of published profiles can go down as well as up. Over the next few posts we will aim to answer some FAQs to help you understand exactly how BeFound works and to help you get the most out of your BeFound experience. Your on-line brand – what does it say? Like it or not your on-line presence could make the difference between you getting your next job or not. Think about your on-line brand - including Twitter, Facebook, MySpace, LinkedIn, blogs etc. Will your on-line presence paint you in a positive light? It is now extremely easy to put your views and opinions in the public domain and once they are out there these are available for anyone who wants to find them. There are even aggregator sites now that will crawl the web to compile a full on-line presence report. I don’t care what anyone says, but most potential employers and recruiters will Google candidates. They are also likely to check the more popular social media sites. They would be mad not to – it could be as valuable (if not more valuable) than a reference check. If they find a Facebook profile photo of you that they deem inappropriate or find a blog that you author which does not match their views/values that may be the end of the road for you; and no-one will ever tell you that you didn’t get the job due to your Facebook photo or your latest Tweets. I’m not suggesting that you sterilize all of your on-line activities, but make sure that you have adequate security settings (especially on Facebook) to stop people seeing things that you may not want them to see. Give it a try – Google yourself right now and see what comes up. Show enthusiasm – there is nothing worse than interviewing a personal who gives the impression they do not want to be there. Be confident, but not cocky or arrogant. Listen to the question – do not cut the interviewers off. Let them finish their questions before you answer. Think about your answers. Do not be afraid to think, pause or ask the interviewer to repeat or clarify a question. Speak slowly and clearly – make sure that the interviewers fully understand your responses. Give real life examples to back up your answers and speak in the active first person - i.e. " I did...", "I was responsible for...". Use open body language. Open your body to the interviewer, and be sure to give eye contact. Answer the person who asked the question. It is tempting to find 1 person to talk to – the one you perceive as the nicest (easiest to convince), but make sure that you connect with the person who asked the question. Interviews find it frustrating when an interviewee only talks to 1 interviewer. Do not be afraid to laugh with the interviewers. This does not mean that you should start telling jokes, but there is nothing wrong with being light-hearted if the opportunity is there. An interview does not need to be formal for the entire duration. If you are relaxed and this will rub off on the interviewers. Ask questions – do not wait until the end to ask questions, if the opportunity arises during the interview ask the question. A flowing conversational interview is easier for all concerned. When greeted by the interviewer make sure that you give a firm handshake. This is nothing worse than a limp feeble handshake. On the other hand you do not want to squeeze the life out of the interviewers hand with a vice-like grip. Be mindful that there will be at least 2 people in most interviews, sometimes 3. As you are introduced, shake hands with each person in turn (make eye contact with each) and try to repeat their name as you do so. Repeating a persons name when you first meet them helps with remembering names. “Hi John, pleased to meet you”, “Anne, nice to meet you”, “Hi Kate, how are you” and so on. It’s simple, it’s polite. Try not avoid colloquialisms such as “G’day” and “How you going”. They will, no doubt, ask you how you are – when they do be positive. Even if you have had the morning from hell, keep your answer up beat and positive. Do not go over the top with an over-enthusiastic “I’m fantastic, really good, awesome” – there are a lot of personal development coaches out there who push the ‘over-positive greetings’. These are cheesy and people see through them. You are in ‘their house’ so wait for them to invite you to sit down. If they offer you a drink, tea, coffee, water. If you can see a jug of water but no sign tea or coffee, stick to water. Unless there is a tea or coffee machine in view don’t make life difficult for them by asking for a hot drink. There may be sweets/mints on the table – think before you eat. Are the sweets hard and will they clunk around in your mouth as you are trying to speak? Are they soft and sticky and will they stick to the roof of your mouth? Are they individually wrapped? What will you do with the wrapper? If after all that you think it’s safe - feel free to have 1, but don’t work your way through the entire bowl during the interview. It may sound funny, but I have had a guy devour and entire bowl of Minties as I interviewed him and left all the wrappers on the table when he left. Needless to say he did not leave a great impression. First impressions do last so make sure that you create a good one! Your choice of reading material could be more important that you realise. Most offices will have a waiting area. The table will more than likely have some publications on it. Usually there will be a number of publications relating to the organisation – i.e. a departmental magazine/newsletter, an industry publication or annual report. These will normally be accompanied by a few general interest magazines such as ‘Home and Garden’, ‘TV Weekly’, ‘Women’s Day’ etc….. Always pick up one of the publications that relate to the employer – i.e. the internal magazine or the annual report. You may learn something important in the minutes before the interview, or you may just get a better feel for the organisation. Even if you are not really interested, it is worth picking the magazine and pretending to read it. An interviewer will notice which publication you were looking at, and it could go in your favour. Do not be afraid to refer to the publication during the interview if the opportunity arises. For example you could start a question in the interview with “I was just reading the departmental news letter in reception and it mentioned , I wonder if you could give me some more information about this?” This instantly shows the interviewer that you have a genuine interest. Remember that interviews are very much about showing the interviewers what they want to see - so don't be afraid to put on an act and do things that you may not normally do - like reading a boring old annual report! "Better late than never" does not apply to interviews. Being late for an interview is not acceptable and is not excusable. Aim to get to the interview at least 10 minutes early. If you are relying on public transport and you have the choice of arriving 30 minutes early or 2 minutes early, always take the 30 minute option. Even getting into the vicinity of the interview 1 hour early is better than arriving 1 minute late. Obviously you do not want to arrive at the interview 30 minutes early, so take a walk around, clear you head, relax, read through your resume again, re-read the job description. Tick and Tick – your answer shows that you are serious about the job, proactive, and also interested in their views and opinions. Small things like this can make all the difference. Using that extra 15 minutes to check out the local area could pay off. Don’t waste it. There are a few different aspects to this and it’s not as obvious at it may seem at first. The obvious part – shower, clean hair, brush teeth, gents - clean shaven, deodorant, subtle perfume or aftershave. Do not overuse the deodorant, perfume or aftershave. Keep in mind that the more you use a product the more accustomed you become to the smell of it. You essentially become immune to it, so you inadvertently end up putting more on over time without realising it. Generally those around you do not notice as the change is gradual. However people you meet for the first time in a confined area may well find the scent overpowering. On interview day back off – use less than you normally would. Do not be tempted to splash that bit extra on just for good measure. Try not to eat right before the interview. If you find that you do not have a choice make sure you do not eat or drink anything right before the interview that may linger on your breath – i.e. onion, coffee etc. Avoid foods like burgers that may repeat on you (especially if you eat them quickly). Eat slowly and chew your food - this will reduce the chances of an embarrassing 'food repeat' during the interview. Before going into the interview have a mint to freshen the breath. Chewing gum is an alternative, but make sure that you find a bin outside the building and discard the gum before you go in. Interviews are a No Gum Zone! If you get the chance just before the interview it’s a good idea to pop to the loo and wash your hands – and I mean wash your hands! INTERVIEW DAY – Don't go hungry! As they say – breakfast is the most important meal of the day. Feeling hungry during an interview is not a good feeling – feeling hungry or thirsty can increase anxiety and it may slow down your ‘little grey cells’. Having a healthy, nutritious low GI breakfast is likely to help your concentration and will eliminate any embarrassing grumbling noises from an empty stomach. Don’t skip breakfast if you are running late – don’t run late. Give yourself enough time to eat before you leave the house. If you are interviewing in the afternoon, again have something healthy and low GI for lunch. Try to steer clear of high GI and high sugar or fatty foods just before the interview. Spikes in glucose levels can leave you lethargic, slow and tired - none of which are good in an interview. Make sure that you know what you are going to wear. If possible a day or 2 before the interview make sure that everything is clean, pressed and shoes polished. At that stage you still have time to do something about it. No matter what the job, always dress to impress. Wear you best suit for the occasion – make sure that your clothes are clean and pressed. Neutral, clean colours are best. Keep it classic. You would be surprised how many people look at your shoes. Shoes are probably one of the most under-rated articles of clothing – especially by men. You could be wearing the best looking suit imaginable, but if your shoes are old, scuffed and dirty you may as well be wearing your PJs. It does not take much to run a bit of polish over your shoes the night before the interview and it can make a huge difference – oh, and be sure to polish shoes the night before and not once you have your nice clean white shirt on – Murphy’s Law saws that you WILL get show polish on yourself! There are different views on glasses, but I would say wear them. There are a few reasons for this. Glasses will generally soften the face and make your eyes look larger which in turns makes you look more friendly, approachable and interested. Like it or not there is also the old subconscious stereotype that glasses make you look more intelligent – yes, it’s a stereotype, but use it to your advantage. revealing is not good. Despite the old comedy stereotypes, short skirts and low cut tops will not get you a job. It is said that coloured shirts on men show confidence, but be mindful that heat and stress cause perspiration and if invited to remove your jacket, a coloured shirt may disclose your anxiety more than a white shirt. A white shirt is by far the safest option. You will be questioned on these. There is also nothing wrong in taking a copy of any or all of the above documents with you on the day of the interview. If you are not confident or do not have much experience of interview try to practice with a friend or family member. It's not easy to role play in this way and it can be embarrassing, but it can help. Treat this as a practice and not a rehearsal – don’t try to memorise answers, instead use this exercise to get you thinking. If you have applied for a job with them you will hopefully know something about them…. Well, maybe not. Firstly during the interview. The question “…what do you know about our company?” is pretty common during an interview and you should be prepared to answer it; and answer it well. Secondly, if you are offered a job you may find that the company culture, ethos, or working environment does not match your personal views/requirements. So – find out as much as you can about the company before the interview! Check out the company website. Find out some background information about the organisation. Make sure that you know about their products, services, systems/applications, management/ownership structure. What you don’t know – ask during the interview. "No, I think we’ve covered everything” is not something that an interviewer want to hear when they ask if you have any questions. Make sure that you have some questions prepared, and make sure that they are relevant – it always helps if you are actually interested in the answer. Try not to ask the same old cliché questions like “is there parking?”, “what is your policy on training?”….. Think about things that you really want to know about your potential employer and do not be afraid to put the interviews on the spot and make them think. Always spend some time preparing for the interview – the extent of the preparation is up to you, but make sure that you are ready. There is nothing worse than panicking the morning of the interview because you’re not sure how to find the office or you thought there was a bus at 9.00am and in fact it left at 8.50am – do your research and make sure that you can get there in good time. Do you know exactly where you need to go? Address? Floor? Contact name? If you do not have all the information you need make sure that you ask. Do you know how you are going to get to the interview? If you are not sure take the trip the day before if you can so there are no surprises on the day of the interview. Make sure you know how you are going to get there and how long it will take you. Check and double check bus/train timetables. If driving, make sure that you know exactly where you will park. Knowing where you need to go and how you are going to get there will mean that you have 1 less thing to worry about on the day of the interview. So, your Resume/Profile has got you a foot in the door.....Now it’s up to you to convince the employer that you are the best person for the job. It’s time to sell your skills, your experience and most importantly sell yourself! This is why you must "know your enemy" - well that's a bit dramatic, but it's certainly a good idea to do some research into to the company culture, views, visions, mission statements etc. Over the next month or so we will be posting daily information snippets that will help you with your next job interview. These snippets come together to give you a comprehensive Interview Guide that is sure to give everyone at least 1 brand new piece of advise that may well make the difference on the big day! Stay tuned during June for daily updates. Ask a friend or relative who does not know or understand exactly what you do for a job to read your résumé. Once they have finished ask them what you do for a job. If they can tell you or explain to you what you actually do on a daily basis – success! You have a good resume! Q - Why include a cover letter? A - It helps to introduce you to the read and provides a high level overview of your skills and experience in relation to a specific job or role that you are applying for. Sounds simple enough, so why do so many people get is so wrong? I read cover letters every day that are addressed to someone else or refer to a different job. For me it's a immediate negative mark. I read with great interest your advertisement for XYZ. I feel that my skills are a great match for your requirements and attach my Resume for your review. Don’t do it. A cover letter such as this will not do you any favours. You are better off not sending a cover letter at all. Do not waffle on about skills and knowledge that is not specifically mentioned in the advert as a requirement. If you want to mention your other skills/experience, keep it brief. Keep it less then 1 page. We will also be posting some JobTips here that need a little more depth. Keep an eye out for posts including JobTip in the title. We have been out this week talking to companies on Outer West and Outer South West of Brisbane. Or.....if you know anyone that may fit the bill let them know that they should register and create a free on-line profile today! Register now and you could BeFound! Now that BeFound has been around for a some 18 months the major Job Boards are now pushing their ‘Profile offerings’ even more. All are promoting the fact that you can create and upload profiles and use these to apply for jobs on their site. At the same time they tell you that employers can also use your profile to find you. But how secure is your information? 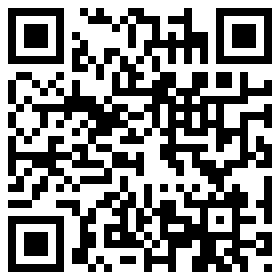 Using one of the major Job Borads I can download your full Resume and see your name, e-mail address and phone number. In some cases I can also see your street address, your date of birth and your referees. All this without you even knowing about it! Scared? You should be! Q – Who is looking at your information? A – You have no idea! Q – How will they use your personal information for? Q – Do you want your Resume and all your personal and contact information up for sale to anyone that is willing to pay the price? The problem is that Job Boards are now pushing the Profile and Resume finders and downloads as a secondary service and charge employers and recruiters for access to your information. Fine if you do not care who looks at your details, but potentially very dangerous. BeFound.com.au is the only dedicated Job Seeker database. Know your options and make sure you know how your profile is going to be used and displayed. BeFound.com.au - 2nd runner up in Newcomer category in the 2010 Job Board Awards. The winners of the inaugural Job Board Awards to recognise excellence in online recruitment in Australia has been announced by Destination Talent. Winners are selected after an exhaustive two month process of public nomination, selection and assessment by a panel of ten judges. All finalists are rated on seven key criteria - services available to advertisers, resources for job seekers, volume of traffic, pricing, technology, site usability and brand recognition. “Winners consistently scored higher on brand recognition and volume of traffic, and also rated highly in providing resources for job seekers, key foundation ingredients for a successful job board,” says Phillip Tusing, founder of the awards. I’ve said it before and I‘ll say it again - internet job advertisement indexes are about as much use as an ashtray on a motorbike. No that’s not completely fair. As far as general trending tools go – looking at internet job adverts is "OK", but overall the actual numbers themselves are meaningless. Advertisers generally buy job packs which may give them 100 job ads per month to use for a specific cost. These contracts generally run for 12 months and each month the company pays their money and they can place up to 100 job ads. If they do not use the allotted 100 ads they are not carried over. This “use ‘em or lose ‘em” system means that during times when job vacancies may be lower and the full allotment of 100 ads is not going to be used, advertisers may post the same job ad in different industries or categories or may even re-post it to see if there are any new applicants out there. There is nothing wrong with this – in fact it makes great business sense. It gives the advertiser more exposure and a wider reach whilst not costing them any more money. Advertisers are also likely to advertise the same job on multiple job board. This all means that it is more than likely that a single job may appear in the index numerous times – therefore skewing the stats. Now – recruitment agencies. Another great way to skew the stats. If an employer goes out to agencies to find staff (especially contract staff) they may go out to as many as 10 or 12 recruiters. Each of those recruiters may post an advert or 2 on each of the major job boards – which in actual fact means that the same job could quite conceivable be advertised over 20 times. How does that make the stats look? Interestingly enough the internet job advertisement indexes are more often used by “recruitment experts” to demonstrate an up-turn in the market where as a declining/slowing trend is much more believable and credible. Internet Job Advertisement Indexes will always be skew to the positive, so if there are showing a declining or slowing trend one could surmise that the economy could well be slowing, but all of these stats and industry comments should be taken with a pinch bag of salt! Skills shortage or job shortage? Who should we believe? “…..QUEENSLAND could be looking at a rise in unemployment above 6 per cent after data showed a big fall in internet job ads in the state during January. Economists are tipping that nationally there will be a slight fall in the jobless number released later this week, but the Advantage Job Index, which tracks internet job advertisements, fell more than 5 per cent in Queensland with big drops in transport, building and construction, and hospitality and tourism. With different opinions being thrown around who are we to believe? Believe who you want, but consider why are we so quick to jump on the band wagon and start shouting about either feast or famine? However, the decline in QLD during January could be quite easily explained away by the floods and cyclones. Businesses simply were not there to advertise. Brisbane CBD closed for almost a week so what do you expect – there is bound to be a decline in advertised jobs as January only had 3 weeks! Not rocket science is it? There is always something to gain from pushing extreme views – financial, political, personal and for every view there is a counterview. The upshot is – don’t believe everything you hear or read – it’s generally never as bad or good as they are making out. Concentrate on making yourself as marketable as possible in your own field and you should succeed regardless of what the pundits are pushing. Some recent reports and predictions may have us believing that the Australian economy is regaining significant momentum - notwithstanding recent floods, cyclone and bushfire. This in turn could cause a tighter labour market over the coming months – essentially creating a skills shortage. In times of skills shortage or perceived skills shortage employers have to be very careful not to get sucked into an ‘employee dictated market place’. This phenomenon was very apparent before the GFC where the labour market showed little loyalty and employees were quick to move and try new opportunities. With the GFC and the instability and economic uncertainty of the last couple of years, employees have been less inclined to move. With the economic upturn comes consumer confidence, but also ‘work force confidence’. A more stable economy makes for a more transient workforce as workers gain more confidence to move into new roles with new companies – simply put, they are willing to take more risks! Employers should start to look at their attraction and retention strategies now to make sure that they are not left high and dry when they can least afford it. Reaction is always more expensive than preparation. BRW has identified that recruitment will be one of the major challenges for companies during 2011. With regards to SMEs finding the right staff will be keeping company founders awake at nights with 95% of SME planning to hire more staff during the next 12 months. Owners and Managers within the Finance sector in particular say that their #1 challenge over the next 12 months will be finding and retaining staff. Salaries are expected to be increased to help retain existing staff and emphasis will be placed on ways to find and attract new staff. Reducing the cost of recruitment will also be a major consideration during 2011. Further increases in internal recruitment are likely. During 2010 we saw larger enterprise establishing internal recruitment teams and this trend is likely to continue during 2011. Sound like you? Know anyone is looking for work?